Here is a very good royal rumor: As a young man, Prince Charles had an enormous crush on Barbra Streisand. 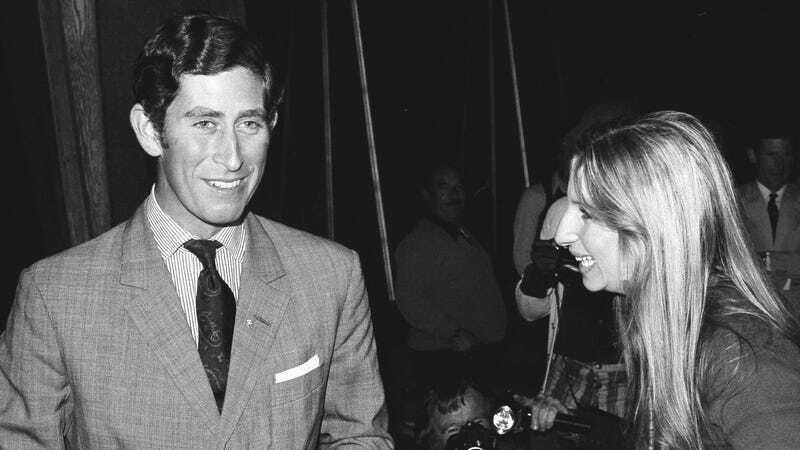 Prince Charles had seen the 1968 Streisand movie “Funny Girl” three times and had kept a framed photo of Streisand on his wall at Cambridge and in his private quarters in Buckingham Palace. He’d even confided to his personal valet of his choice to meet Streisand, “I’m sure they thought I’d say Raquel Welch . . . Streisand is my only pinup,” reports “Game of Crowns,” out Tuesday from Simon & Schuster. Now, are dishy reads about the royals as a rule so absolutely reliable that you can take them to the Bank of England? Yours truly wouldn’t bet so much as a particularly tasty-looking Victoria sponge cake on much of any gossip related to the Windsors. But royal rumors must be judged according to an independent set of metrics, i.e., on the question, “Is this a great royal rumor?” And yes, this is, officially, a great royal rumor.